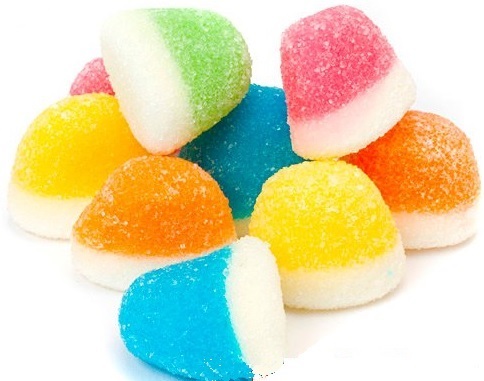 artificial bright colors, shapes, flavors + smells seduce your sweet-tooth. this 1 minute video traces gelatin candy in reverse, from mouth to package to candy-making process inside a candy factory to a live pig. "‘Over Eten’ from flemmish public broadcaster VRT brings reports on what we know about food today. Where does it really come from and how is it produced? "I got the assignment to direct some reversed stories showing the production of some of our food and dishes. 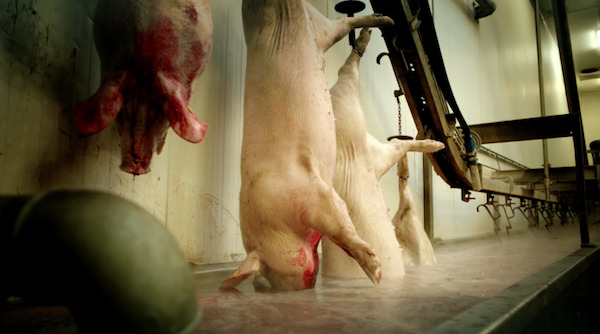 I saw quite a few slaughter houses and examples of both industrial and artisan food production. A true eye opener. ‘Jelly’ is candy. But only few people know they’re made of gelatine from the skin of pigs. Sweet?"